Flexi Ploprof 316 Reform "SHARK" Mesh Band was inspired by the original Omega Seamaster 600m Ploprof mesh band. 316L stainless steel wire enhances the best performance of assigned finishing. Approximate 4mm thickness smoothly bend on your wrist. 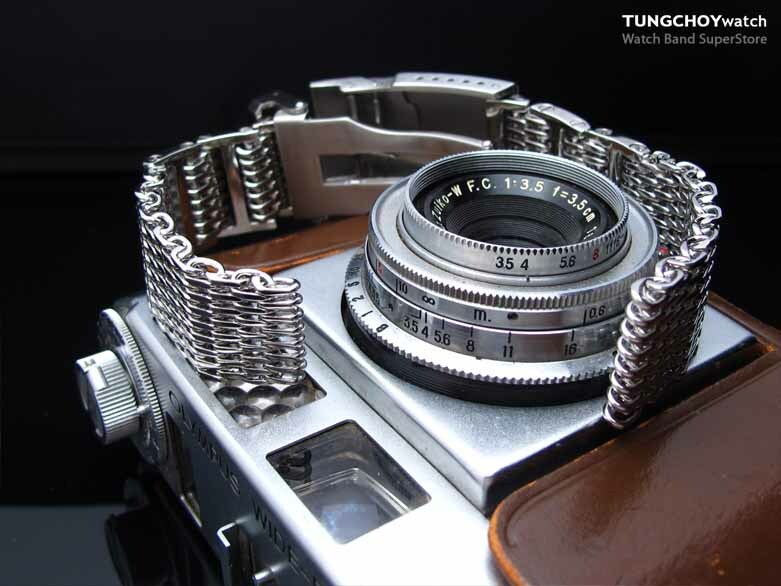 Featured Flexi 'H' link details made length adjustment more flexible. The 4th generation of 'H' link details in absolute flat angle, an unusual blending chemistry with "SHARK" mesh band. 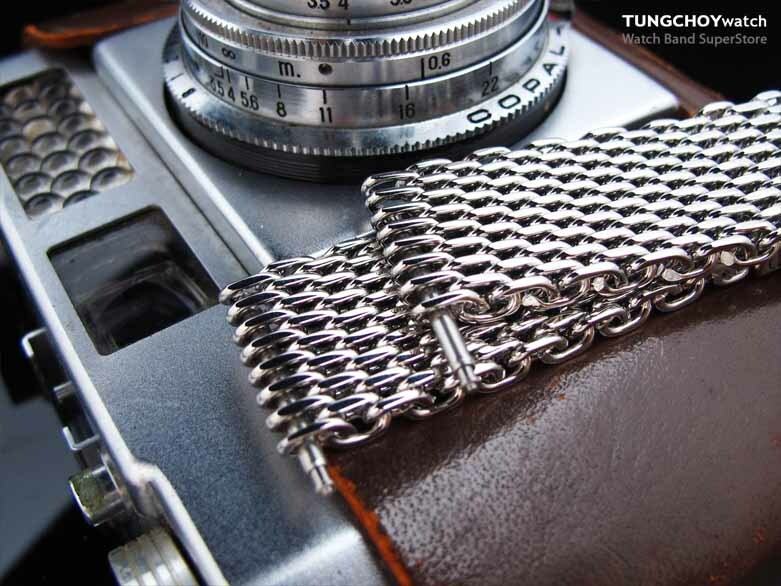 Accompanied with brand new Chamfer double locks diver's clasp, made from solid 316L stainless steel with extra 6 micro holes for flexible fine tune length adjustment. 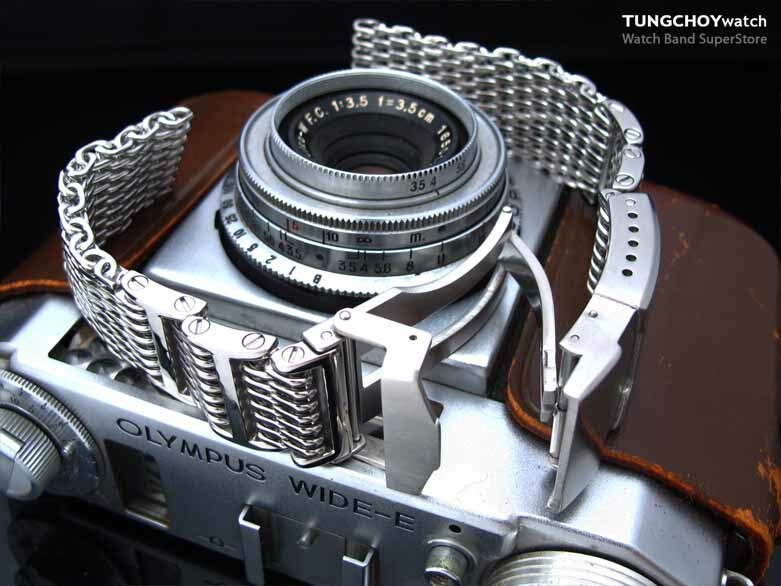 Chamfer double locks diver's buckle is idea for watch band with thickness approximate 4.0 - 5.0mm thickness. 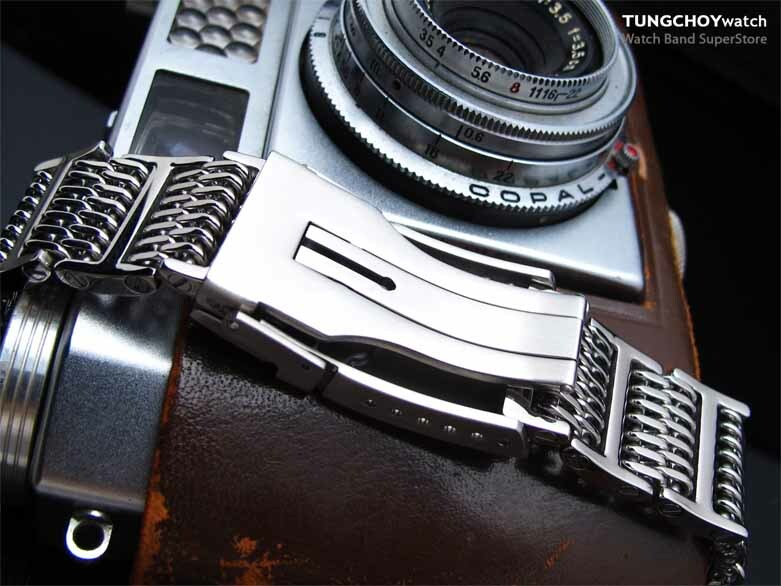 You can find huge varieties of style and matierial watch band from this great brand. 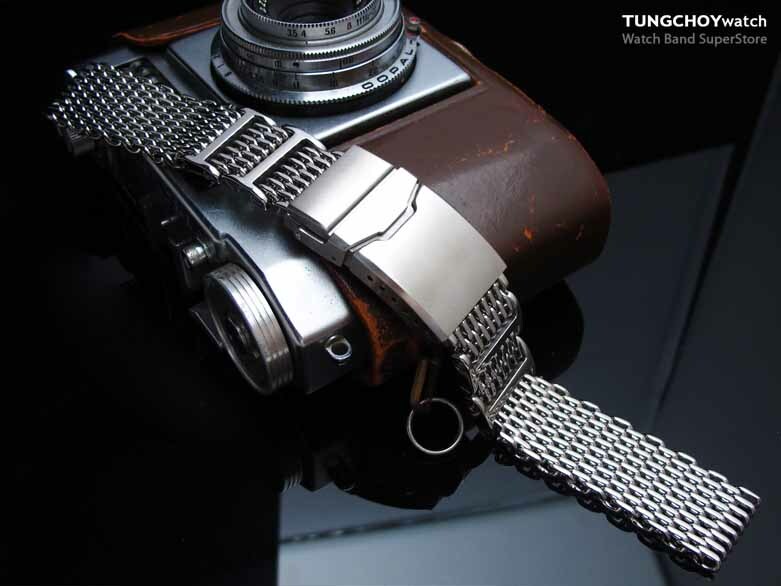 Hope you enjoy your visit in tungchoy.com and our goal is to provide you a safe and reliable online watch store with super quality timepiece at competitive prices together with unforgetable service. You best watch partner. This product was added to our catalog on Wednesday 22 October, 2014.